So Buzz Feed just featured one of my illustrations in their “10 Crucial Things New Orleans Had First” article. 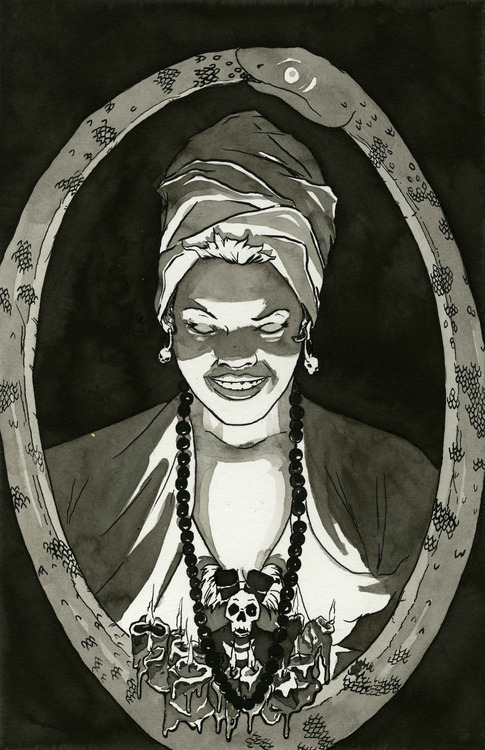 I’m not exactly sure how I feel about this latest development, on one hand I’m extremely flattered that they chose my illustration to best depict voodoo in Louisiana but they also pulled it from this very blog without my permission. If anyone has any thoughts on this feel free to message me, in the meantime the article is actually a good one and worth taking a gander at, you can do so here.